What is the formula for electrifying the EU’s transport sector? This week (25 June), Parliament’s Environment Committee will debate reducing air pollution from cars. Member states should draw lessons from Norway, writes Teodora Serafimova. Teodora Serafimova is an advisor at Bellona Europa, an environmental NGO dedicated to providing technological solutions to climate change. Currently, passenger cars alone are responsible for over 15% of total CO2 emissions in the EU. The global car fleet is predicted to double from 800 million to 1.6 billion vehicles by 2030. EVs represent one of the most promising technologies for cutting CO2 emissions, reducing oil imports and improving local air quality. Additionally, EVs will help to increase the predictability of the electricity sector, as EV batteries can be reused to store and manage wind and solar-based electricity. Despite the recognition of these key advantages, EVs still account for just 0.3% of the total market share of around 12.55 million passenger cars sold during 2014 in the EU. Becoming a leader in electromobility, as envisaged by the EU’s Energy Union Strategy, would entail learning from the best in this field. 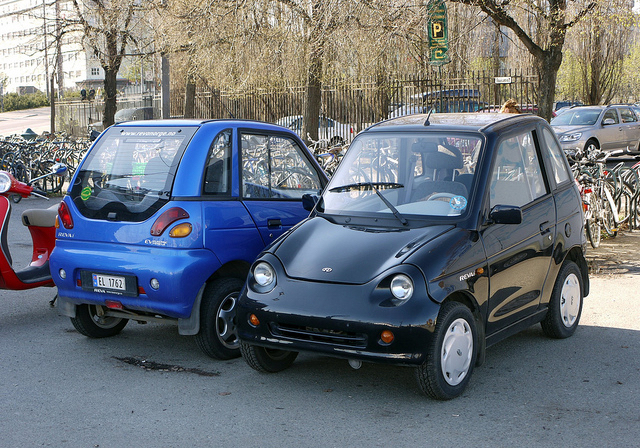 The attainment of 50,000 EV registrations in Norway by April 2015 can be attributed to a number of regulatory and financial incentives provided by the government to induce EV-purchase. The Norwegian government has successfully rendered the purchase of EVs a real ‘cost-saving’ option for households by implementing a package of financial incentives, including exemptions from purchase tax and VAT; more affordable insurance; exemptions from road and ferry tolls; free parking and re-charging in public charging spots; and the ability to drive in bus lanes – all of which are in accordance with EU state aid. As a result, 41% of EV buyers in Norway have quoted ‘cost-saving’ as the primary reason for buying an EV. Public authorities should therefore ensure substantial tax differences are established between traditional, internal combustion engine (ICE) cars and EVs in order to incentivise the wider uptake of EVs. Range anxiety, the fear of not reaching the next charging station, remains a barrier for potential EV buyers. To overcome range anxiety, governments should secure direct investment in visible, accessible and EU-wide compatible charging infrastructure. Moreover, public authorities should incorporate measures to promote smart charging of EVs to allow them to effectively integrate into the power system. Doing so can facilitate the reliability of energy supply and smooth EV mobility. These measures will act to stimulate consumer demand which in turn will ensure manufacturers’ confidence in the market and thus supply. Vehicle’s emission performance standards for 2015 have already been met, proving car manufacturers’ ability to quickly adapt technology. The EU should facilitate a more EV-friendly regulatory environment through the tightening of these emission performance standards in their upcoming review process, to be set at a minimum of 70g/km for 2025. Applying EV batteries for energy storage holds the potential to revolutionise the EU energy market, while enhancing energy supply security. Earlier Bellona calculations have done that using old EV batteries of the current stock of four million EVs would deliver a storage capacity of 128 GWh – enough to store and release nearly all of Germany’s daily solar capacity in peak summer periods. There is therefore a clear public interest even beyond transport in advancing battery technology and take-up. The uptake of EVs in Norway is now beginning to move from the private consumer to public procurement, with the postal service recently purchasing 300 EVs and several cities moving to electrified public transport. Moreover, this spring the Norwegian government confirmed its commitment to continue the incentive scheme. With over 50,000 privately owned EVs on the roads, Norway’s EV policies are a story worth learning from.